I have succumbed to Downton Abbey fever. Ah, it’s true! I now look forward to Sunday evenings not because the work week starts soon after, but because I get to find out what’s happening at Downton. 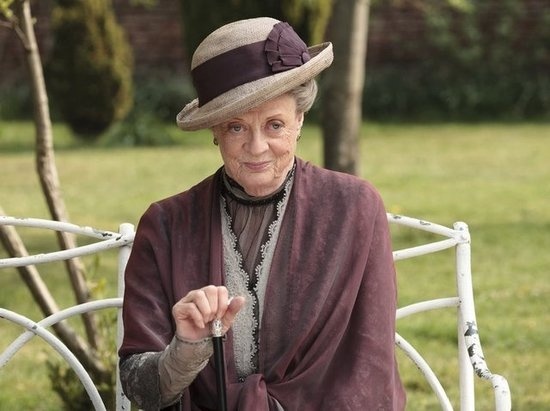 If you’re a fellow Downton addict, then I’m sure that you too are still mourning the death of Lady Sybil, so hopefully this list will remind you of happier times at Downton. Red: Seeing that Sybil was always the more fashion-forward, risk-taker of the sisters I could have most seen her wearing this red felt cloche hat. Remember those awful turquoise Alladin pants she had made for herself? Um, yah. I think that this hat would make a much safer and posh choice than those pants. I love the brim! Orange: Isn’t this serving tray the cutest? Although I highly doubt that Carson would serve the Crawleys with it, I feel that it is very reminiscent of that era. Wouldn’t that be a great conversation starter piece? My dinning room chairs are almost an avocado green shade and I would love to see how the two shades would play upon each other. 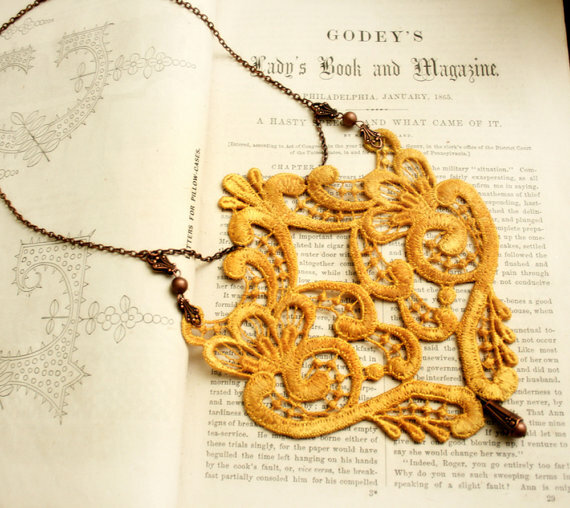 Yellow: For some reason I most see Cora wearing this lovely lace necklace. I think that the addition of the yellow lace affixed to the antique brass chain was genius! Come to think of it now, I’m not sure if any of the Crawleys would actually ever wear brass (that might be too middle class), but it’s my RWL and I can pretend all that I’d like! 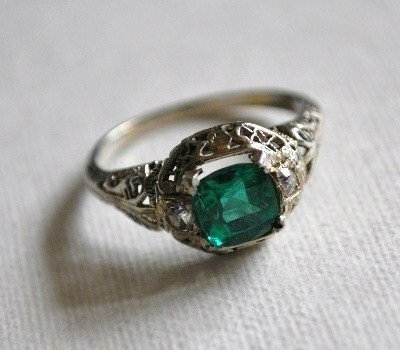 Green: This vintage emerald ring would have to grace the hand of Lady Violet. I adore pieces like this. A few Christmases ago, Husband bought me a vintage inspired diamond ring whose band detail is very similar to this one and I absolutely adore it. Truth be told, I often wear it in place of my wedding ring! It looks like a wedding ring (I’m not trying to be sneaky) and sometimes its just fun to mix it up. And I always wear it in place of my actual wedding ring when traveling abroad… never go overseas with your real ring lest you lose it! Indigo: Let’s imagine for a second that the Crawleys did not believe that the sun rose and set on the English. 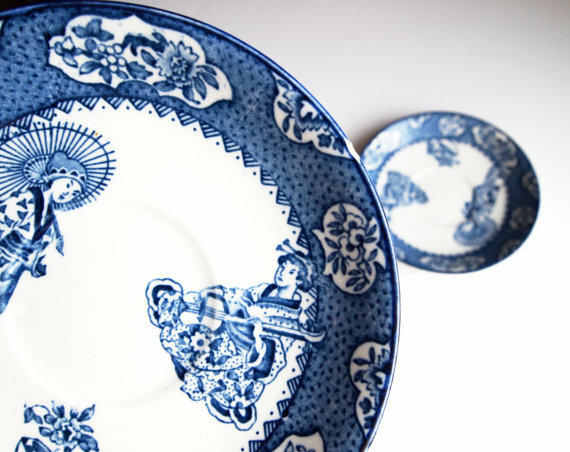 If we can imagine that, then we might be able to imagine that they might introduce a bit of culture into their lives by adding this Japanese inspired porcelain pair into their massive collection of dishes. I could only image what Mrs. Patmore and Daisy would have to say about that geisha design! Violet: Her name is Lady Violet for Pete’s sake! How could I not have used a photo of her?! Besides, she wears violet shades half of the time. And does this lady not age? I mean she looks old, obviously, but I remember her from The Secret Garden back in the mid 90s and she looked just as old then! 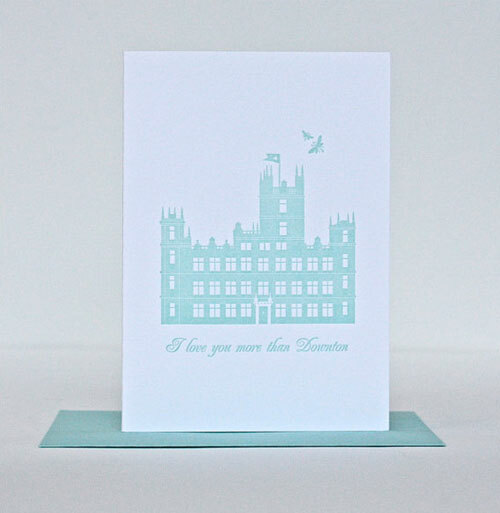 Well my dear lords and ladies, I hope you enjoyed our travel down the Downton RWL, have a splendid day!